This grumpy old guy is Gus (which is my Hubby's name too!) 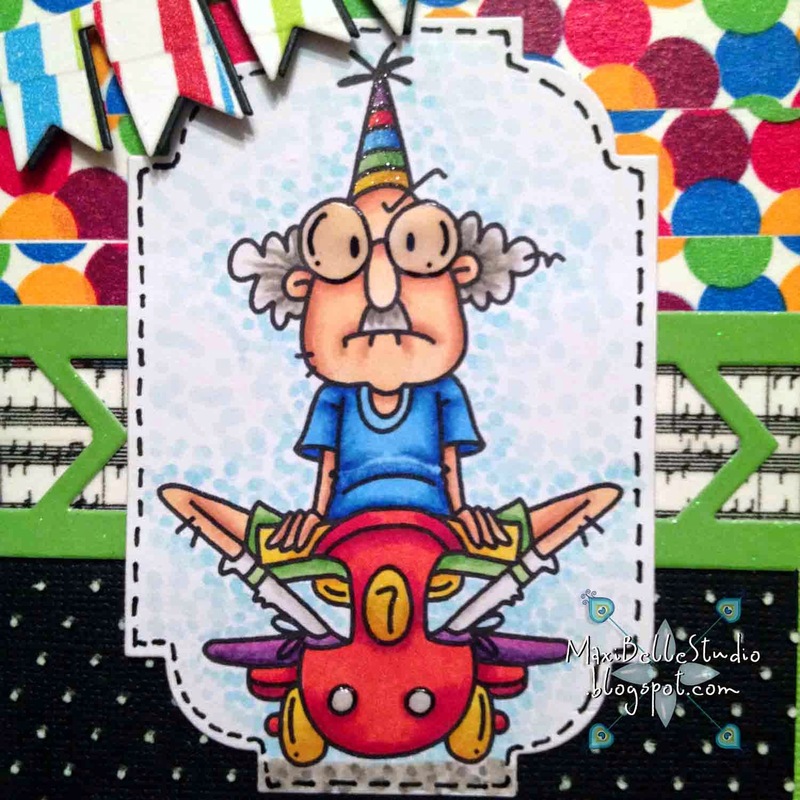 and he is from Bugaboo Stamps. I just love him! I coloured him up with Copics and framed him with the Spellbinders Label 38 before layering him over the Avery Elle Chevron Border. I put some music washi tape sitting behind the Avery Elle Chevron Border, which I'd cut from glitter cardstock. I have a huge collection of washi tape so I used some colourful spotty washi tape in lines as my 'designer paper' and also for the Taylored Expression Party Banner Border, which was layered over black before I trimmed it down for the front of the card. The first part of the sentiment was cut with one of the Docrafts Xcut Tags & Bookplates. 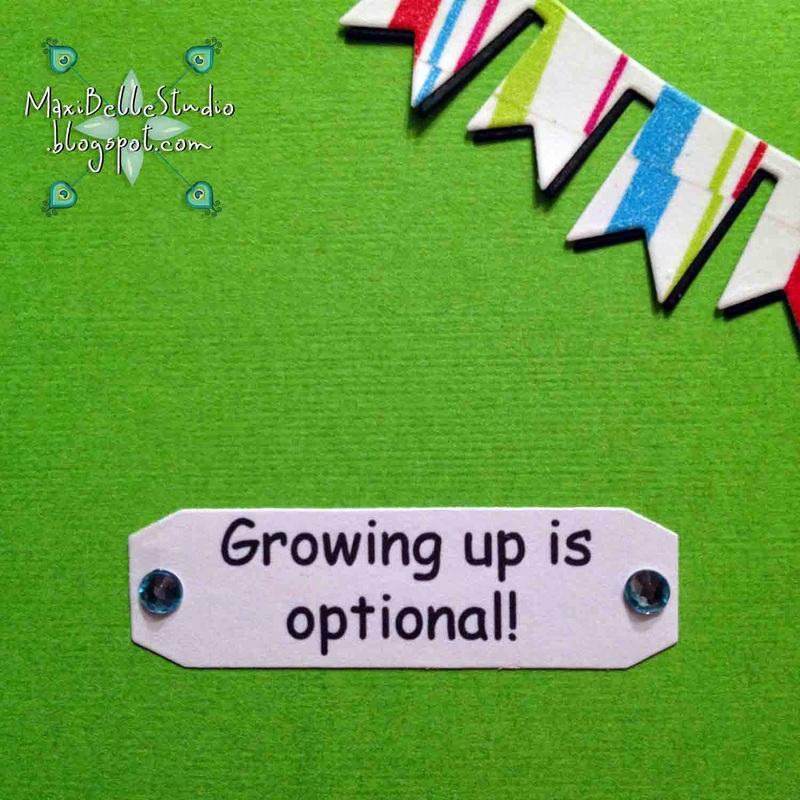 The inside of the card was decorated with the remainder of the sentiment, also cut with the same Docrafts Xcut Tags & Bookplates, and I used the remainder of the off-cut Taylored Expression Party Banner Border too. Over at the Challenge Blog our 10th challenge is underway. It will be finishing up on September 28. The theme is 'Fall Festival'. There is a great variety of awesome DT creations from the talented Team B. To be in the running for the $10 voucher at the Dies R Us store just use a die in your challenge entry. So get your craft on & make something over the weekend! Ha Ha Ha Just love your card! One of my favorite sayings! LOVE this! Gave me an instant smile! I have this digi & it's one of my favorites. Always perfect for the "big" kids! Your coloring is beautiful & I know your brother will adore this! Well done Alicia! 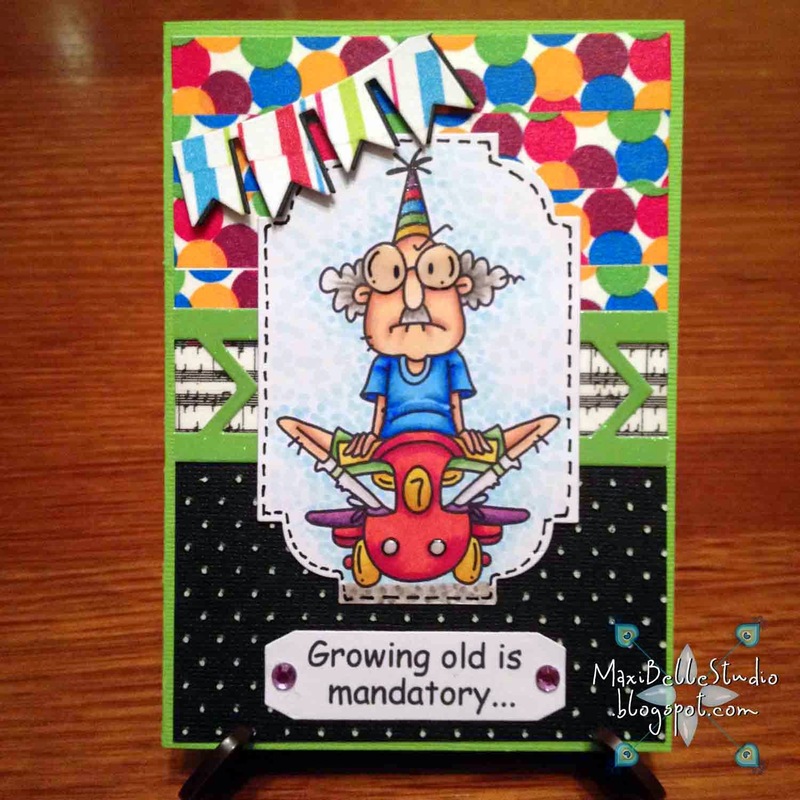 FUN card and fabulous coloring! Those banners are just perfect on this happy, colorful creation! !